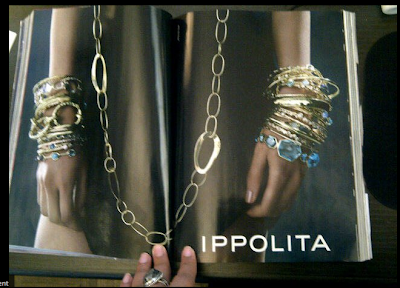 As I was catching up on my favorites brands on Facebook I happen to see this exciting glimpse of a new Ippolita ad for September's Harper's Bazaar... 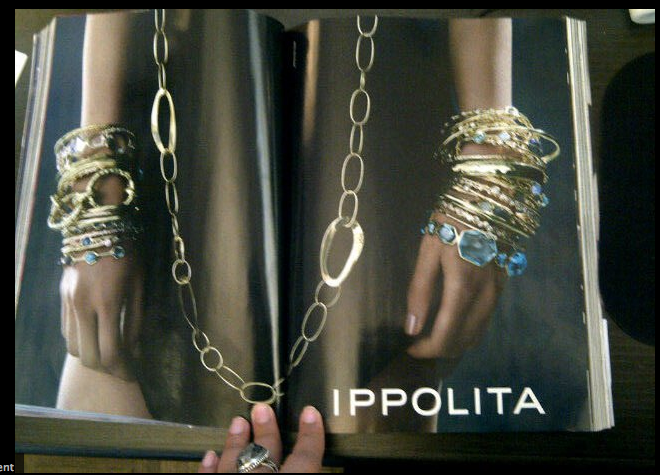 I love the ad and love those wrists piled with one of my favorites accessories. Bangles continue to be a strong statement for the fall ...continue to pile them HIGH and HIGHER! Loving the stacked look! Here's the video for the F/W'11 collection, directed by Will Davidson and cut+graded by SWELL.